London: Oxford University Press, 1957. Octavo; G/No-DJ; Spine is sunned navy blue with gold text; Boards have general shelf wear, scuffs and marks, age-toning, joints and hinges are intact, design is clear; Text block has general signs of handling, age-toning, ex-library, content is clear; pp 450. Shelved Rockville Bookstore. New York: Ballantine Books, 1979. Reprint. Reprint; Quarto; VG-/no-DJ (paperback); Spine is brown with yellow text; Boards have general shelf wear, some scratches and scuffs, rubbing to corners, joints and hinges are strong; Text block has general signs of handling, age-toning, content is clear; pp 210; Additional shipping cost may be necessary for expedited and international orders. Rockville Non-Retail Listings. Roma: Edizione di Storia e Letteratura, 1973. Second edition. Octavo; G-/no-DJ paperback; Off-white spine with black & red text; Covers have wear along edges with tears and lightly sunned & rubbed exteriors, but still intact; Text block has shelf wear to the exterior edges due to handling, otherwise pages are unmarked; pp 530. Shelved Rockville Bookstore. Newton: Allyn and Bacon, 1979. Quarto; VG/no-DJ paperback; grey spine, white text; cover has sunning, edgewear, scuffing on back; textblock is clean; pp 252. Shelved Rockville Bookstore. Washington DC: National Aeronautics and Space Administration, 1981. Hardcover. Quarto. VG/no DJ - hardback. Brown spine with white text/title; boards are strong and overall clean; binding is strong; textblock is clean. Pp. 154. Shelved Rockville Bookstore. 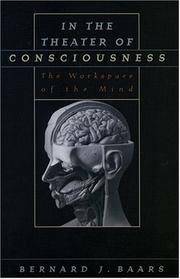 New York: Oxford University Press, 2001. first Oxford University paperback. Softcover. Octavo; G-/no-DJ paperback; Black spine with off-white & light blue text; Covers have moderately rubbed and scratched exterior, sticker residue on rear with otherwise intact and sturdy panels; Text block shows light wear on exterior edges due to handling with tight binding; underling and writing throughout text; pp 193. Shelved Rockville Bookstore. Philadelphia: Philadelphia Society for Promoting Agriculture, 1985. First edition. Octavo; VG/no-DJ; Copy signed and inscribed by president of Society; Grey spine with black text; Top corner of board dented, .25" tear to cloth, otherwise boards clean and strong; binding strong; Aside from signature/inscription, textblock clean, pages crisp, pp. 124. Shelved Rockville Bookstore. Maharashtra: Adi K. Irani, 1967. 6th edition. Softcover. 12 mo. VG/softcover; Green spine with black text/title; covers are clean with mild edgewear; binding is strong; textblock is clean. Pp. 182. Shelved Rockville Bookstore. New York: Farrar, Straus & Giroux, 1971. First Edition. Inscription on first white page, gifted to previous owner. Octavo; VG+/VG-; Blue/white spine with black text; DJ shows some edgewear and 0.5 inch closed tear on bottom of front cover; Boards strong, clean; Textblock has mark on page 111, otherwise clean; 176pp. Shelved Rockville Bookstore. Houston & London: University of Texas Press, 1977. Softcover. Octavo: VG-/no-DJ paperback: Sun faded light blue spine with white text: Covers have clean with general shelfwear, some chipping to corners, light bumping at head and tial of spine, binding solid: Textblock is clean: 324 pp. FP New Rockville Stock. Philadelphia: Philadelphia Museum of Art, 1988. Softcover. Octavo; VG-/Wraps; Off white spine with black text; Moderate shelf wear to covers, some slight marks and spotting along front exterior cover; Text block clean; 297 pp [Italian Art] Additional shipping is needed for expedited / international orders. Book(s) too heavy/ large to ship via economy international shipping methods. For international/expedited orders, please inquire for rates]. Shelved Rockville Bookstore. New York: Henry Holt and Company, 1960. 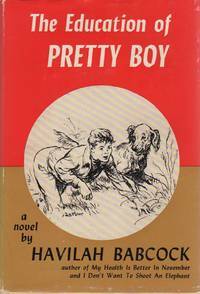 First Edition, Presumed First Printing. 8vo., 160 pp., VG/VG; red and tan DJ with white and black lettering; mild age-toning to covers of DJ, rubbing to edges, chipping with slight material loss to head and tail of spine and corners; mild age-toning to spine (tan towards tail of spine toned olive green), lettering clear and legible; price uncut "$3.00" to top right corner of front flap, all four corners of flaps clipped; DJ protected by mylar; yellow cloth boards, maroon lettering to spine, maroon illustration of dog to front board; mild fading to spine (text clear and legible), bumping to head and tail of spine, slight cocking to spine; cocking to boards, no shelf lean, binding strong; age-toning to text-block; interior clean, contains many black and white illustrations by Fuller; pub. 1960, "First edition" stated to copyright page, no mention of further printings; frontispiece to title page; shelved Case 6. Shelved Dupont Bookstore. Munich, Germany: International Publishing, 1998. English Language Edition. tall Qto. VG+/VG+. bright sky blue, slender glossy spine with black uppercase title indent from DJ tip and remainder of spine blank. front is richly illustrated, glossy color and finely detailed, ornate and fills entire front panel. simple enlarged black uppercase letters centered beneath upper edge. dark blue clothbound volume, with stamped gilt titling matching the exterior dustwrapper, but in gilt. spotless white endsheets. short two-column textblock introductory historical section on icons, followed by 64 great icons, ornate and in full fine detail, each plate facing text detail. in excellent interior shape. clean and solidly bound under DJ. 144 pp. ART (EARLY CHRISTIAN). Shelved Rockville Bookstore. Paris: Payot, 1954. Octavo; good+/none; burgundy cloth spine with gilt text; quarter-bound w/brown marbling; libris, name stamp; minor edge wear; text block clean; 636 pp. ; illus., plates, maps, ground plans, and text figures; all edges, foxing starts; else very good; --TEXT IN FRENCH. Rockville Non-Retail Listings. Great Britain: Routledge, 1991. Paperback Edition. 8vo. VG/ - no DJ. 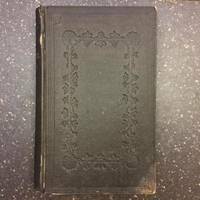 black wraps spine with stacked white titling at head of spine and publisher above decoratively tipped foot. softcover front is b/w pictorial with enlarged ivory block titles.rear cover has a large crease, mild impressions. skimmed interior, no writing or discoloration, unmarked outer edges. makes a suitable reading copy. 242 pp. ISBN# 0415071488. Shelved Rockville Bookstore. Parma, Italy: Artegrafica Silva, 1994. Text in Italian and English; Quarto; VG/no-DJ paperback; Light green and brown illustrated painted spine with black text. Covers have general shelfwear, minimal edgewear, minor bumping to corners, otherwise clean, binding strong; Textblock has shelfwear to fore edge, very light signs of age toning to edge of pages, cracking along gutter of inner front cover and half title page, apart from that clean, free of underlining/highlighting; pp 287; Italian Art. May require extra pricing for shipping international. Shelved Rockville Bookstore. Gloucester: Procter Brothers, 1860. First edition. Thick octavo in dark brown embossed hardcovers with vinyl cover; VG; moderate soiling and shelf wear on covers, corners bumped and frayed; strong binding; age-toned paper; edges dusty; pp. 610; contains one illustration and folded map, map is present, loose and has some small tears, one piece has been torn from the upper right corner of the map but is still present; shelved in Case # 1; IR consignment. Shelved Dupont Bookstore. 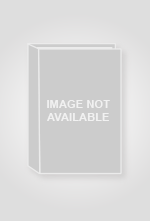 New Delhi, Bangalore: UBS Publishers' Distributors Ltd, 2000. First edition. Small Octavo; VG-/no-DJ paperback; Blue spine with white text; Covers have sunned exteriors, most notably on edges, with minimal wear along edges and sturdy; Text block has overall slight ivory toning, otherwise clean; pp 224. Shelved Rockville Bookstore. London: The Folio Society, 2013. Hardcover. 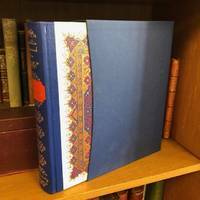 small 4to., 540 pages; VG; bound in 1/4 blue morocco, red label with gilt lettering on spine, gilt tooling, illustrated boards; housed in a blue slipcase; frontispiece and 48 pages of coloured plates; shelved folio society. Zahiruddin Muhammad Babur (1483-1530), founder of the Mughal Empire in India, was also the author of the earliest known work of autobiography in Islamic literature. Shelved Dupont Bookstore. Barcelona: Lunwerg Editores. Quarto: VG-/VG: Black spine with white text: DJ has general shelfwear, some scuff marks: Boards are strong with edgewear, slight bumping to head and tail of spine and corners, large liquid stains to back board: Textblock is clean, front free pages and pastedowns dust stained, otherwise pages clean and unmarked: Text is entirely in SPANISH: 226 pp. [Over sized book. Additional shipping necessary for expedited/international shipping. Economy international shipping unavailable due to weight/size restrictions. Please contact seller for additional information.]. Shelved Rockville Bookstore.